Fort Irwin, Calif., September 2010: The Mojave Desert is full of iconic American Nowheres, empty places that either don't or shouldn't exist, but that still have names branded in our brains. There's Death Valley, and the Devils Playground. There's Sin City, and Area 51. On a map, the U.S. Army installation of Fort Irwin, Calif., is located approximately halfway between the illusions of Hollywood and the delusions of Las Vegas. McCarren International Airport is 3 hours to the east; LAX is 3 hours to the west. You either have to really want to get to Fort Irwin, or you've been ordered by Uncle Sam to go to The National Training Center. Either way, you've probably made a seriously wrong turn. There are approximately 5,000 active-duty U.S. military assigned to Fort Irwin, with an additional 5,000 civilians providing support. At any given time, there are are 3,000 to 5,000 "rotational soldiers"--visiting soldiers participating in battalion- and brigade-sized wargames that last for weeks at a time. That's where the soldiers of 2nd Brigade Combat Team (B.C.T. 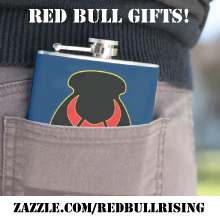 ), 34th Infantry "Red Bull" Division come in. They're here to cap off weeks and months of pre-deployment, post-mobilization training. Some of them will even launch to Afghanistan, directly from Califonia. The closest civilian town is about 45 minutes away from Fort Irwin, the interstate speedbump of Barstow, pop. 21,000. If you are Hunter S. Thompson and his Samoan lawyer, Barstow is where you start dropping acid on your way to Vegas. If you want fine-dining there, the best you can do is Quiqley's Restaurant. Where the vibe and decor is sort of Spanish Colonial meets Denny's. Despite the name, Tom Selleck is nowhwere to be seen. The food is 4-star Michelin if you've been trucking around the desert for two weeks. And, yes, they have a liquor license. You'll need it, whether you're coming or going from Fort Irwin. The description of Fort Irwin most likely to be spat from the lips of a Red Bull soldier is "surreal." Like everything else, the word will sit there on the ground, collecting dust, before evaporating in the oven-cleaner heat. Even at summer highs of 110 degrees Fahrenheit, at least it's s dry heat. The second most-heard Red Bull opinion of Fort Irwin? "Well, at least it isn't Camp Shelby, Miss." 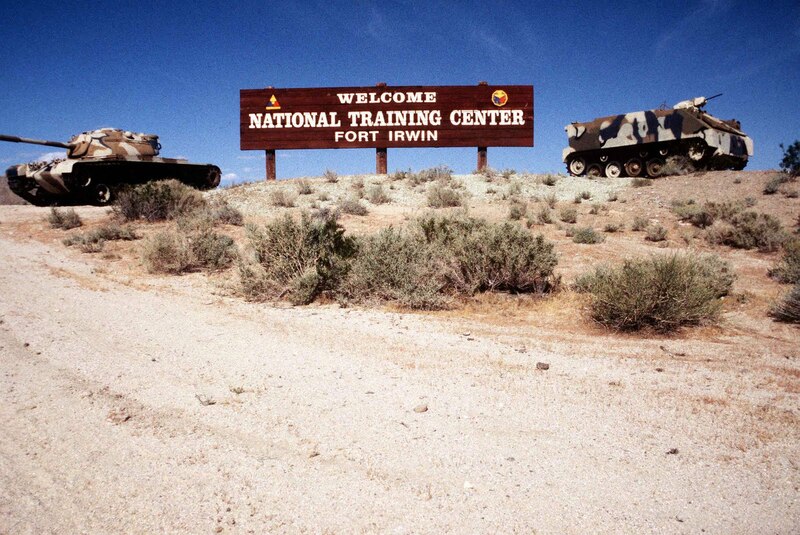 Even on the Internet, Fort Irwin is something of a mirage. "Map websites do not have pinpoint directions to Fort Irwin ..." notes the official Fort Irwin website. "[B]uy a map of California and become familiar with the highway system, you will be glad you did!" People want to know why the National Training Center (N.T.C.) is such a big deal. The NTC is more than 1,000 square miles of restricted airspace, uncluttered electromagnetic spectrum, and sparsely populated tank-friendly maneuver area. Let me say that last part again, because this is like Nirvana for my buddies in the Cavalry: "Drive anywhere, over anything. No questions asked. What goes on at NTC, stays at NTC." In short, the NTC is the most fun you can have as a soldier without live rounds or getting naked. It's your last opportunity to make mistakes and be absolutely certain about living to tell about them. Since the early 1980s, The National Training Center has specialized in providing realistic "force-on-force" simulations for U.S. and allied troops. During the last throes of the Cold War, that meant staging huge tank battles. 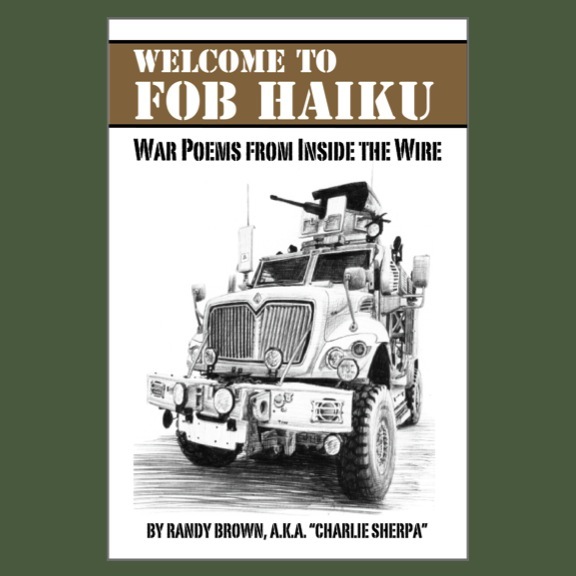 During this time, it was said that the members of Opposition Force ("OPFOR")--the U.S. troops stationed at Fort Irwin who role-played as "enemy"--were better-practiced on Soviet tactics than were their real-life Russian adversaries. Since 2001, the National Training Center has transformed to better simulate the environments and challenges of Iraq and Afghanistan. The concept of "force on force" grew to include "full-spectrum operations." On any given day, soldiers might find themselves distributing school supplies and running healthy-puppy clinics. The next day, they might be kicking in doors and delivering ammo cans full of whup-a--. You know, winning hearts and minds. Saving puppies and democracy and bringing people together through the magic of Close Air Support. Stuff like that. have I mentioned that my latest adoptee via Soldiers Angels just had a full 30 days of anti-rabies shots? 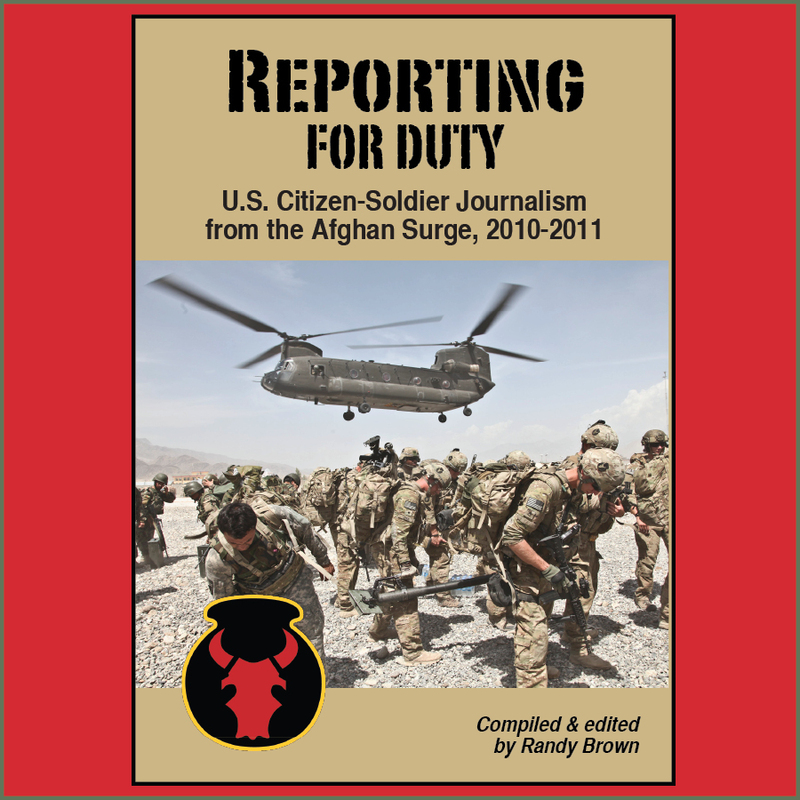 As someone who spent three years there as a a line infantry guy, and then DRT scout when it was still 1/52 Infantry; I say props to you for your article!!!! You've summed it up better than my heat stained, blur of a memory ever could I think! I was asked by a Col. what the hell it was, I said " Y" and the general started laughing, walked over and shook my hand and laughed, saying " Leave it to Heavy Junk to make things easier"... The Heavy Junk section was asked back three times. I was deployed to Germany 6 months after the first time.